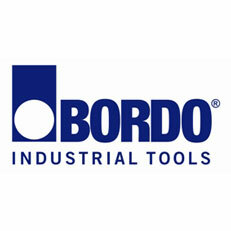 Bordo is a premium supplier of industrial and engineering tools, including drill bits, taps and dies, milling cutters, reamers, burrs, industrial brushware, abrasives and hole saws. Other products include step drills, auger bits, morse taper drills, panel drills, diamond drills, screw extractors, hack saw blades, flap discs and flap wheels, screwdriver bits and nutsetters. Bordo, under its PowerCoil brand, is a world leader in wire thread inserts and thread repair systems, with one of the most complete ranges available. Bordo enjoys a reputation for innovation, service and quality and we continually review, refine and expand our product range to ensure we provide the highest quality and broadest range available.